One of the highlights of this year’s American Academy of Religion annual meeting was a NAASR panel responding to On Teaching Religion. The book, edited by Christopher Lehrich, is a collection of J.Z. 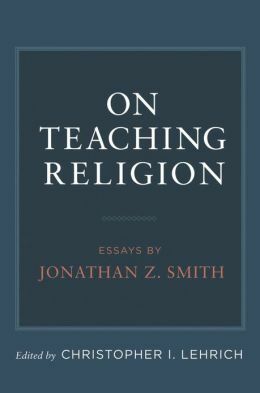 Smith’s essays on teaching. Until this volume, many of the essays were out of print and hard to find. Lehrich chose not to include many of the most commonly cited and widely available essays, focusing instead on providing examples of Smith’s work with which even his frequent readers may be unfamiliar. Having already browsed the volume, I’m excited about the role it can play in encouraging discussion about how, why, and what we teach.